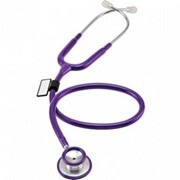 The Pro Cardial Stethoscope is available in multiple different colours. 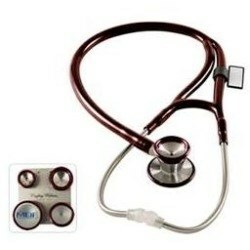 Constructed from premium-grade acoustically-superior stainless steel, the MDF® Classic Cardiology Stethoscope delivers accurate auscultation of heart, lung, and Korotkoff sounds with acoustic integrity and clarity. 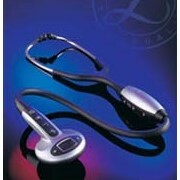 An ergonomic design ensures comfort for the doctor and patient, even during extended use. 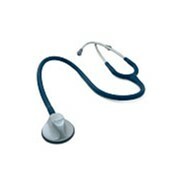 The Classic Cardiology is the ultimate diagnostic instrument with unmatched performance, durability, and aesthetics. 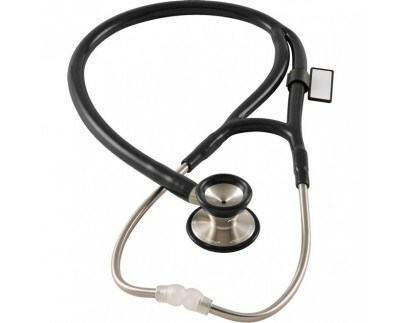 With its extra-deep cone-shaped bell and ultrasensitive diaphragm, this cardiology stethoscope detects the entire frequency range required by cardiologists. 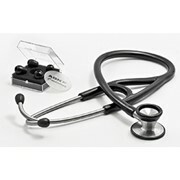 The MDF® ProCardial ERA™ is the very first stethoscope of its kind. We promise, you’ve never seen a stethoscope like this. 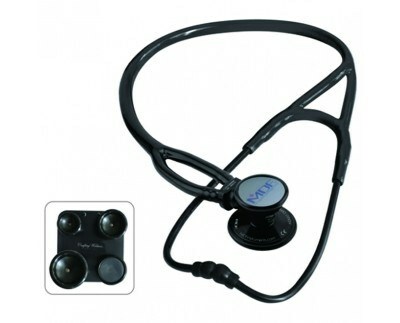 It is a stethoscope completely reinvented and you won’t believe how light it is. 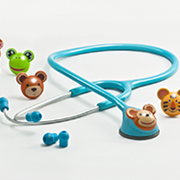 In addition to the redesigned lightweight headset and patented sound-sealing A2X tubing, it features a convertible chestpiece with 3 real bells and 3 separate diaphragms in adult, pediatric, and infant modes. 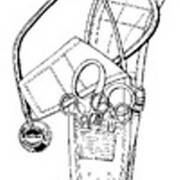 Enhanced by 10 unique patents, the precisely handcrafted ProCardial ERA™ abolishes the age-old dichotomy by proving a true high-performance stethoscope can also be lightweight. 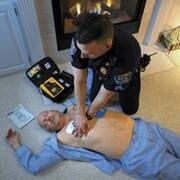 The ProCardial ERA™—a true paradigm shift. 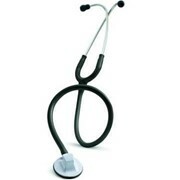 The patented MDF® ProCardial™ C3 Stethoscope stands alone among all cardiology stethoscopes. 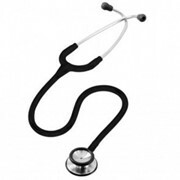 With the six included conversion attachments, this stethoscope can be easily transformed into nine different configurations, including a complete adult, pediatric, or infant cardiology stethoscope. 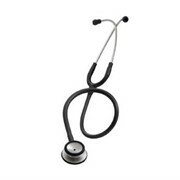 Constructed from premium-grade stainless steel, the ProCardial™ C3 delivers accurate auscultation of heart, lung, and Korotkoff sounds with acoustic integrity and clarity so healthcare professionals can provide comprehensive care to all patients using just one stethoscope. 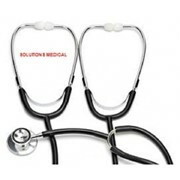 An ergonomic design ensures comfort for the doctor and patient, even during extended use. 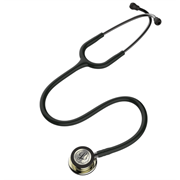 The ProCardial™ C3 is the most versatile diagnostic instrument in the industry, with unmatched performance, durability, and craftsmanship. (Pat. no. 201120200178.2).